In 2012, The Municipality of the County of Cumberland, in conjunction with the Pugwash Village Commission, began the process of creating a central water supply for the Village of Pugwash. On July 29, 2015, the Municipality of the County of Cumberland and provincial and federal officials announced a $14.9 million project that will bring clean water to the Village of Pugwash. The project involves building a centralized water treatment plant as well as an associated reservoir and distribution system to the Village. 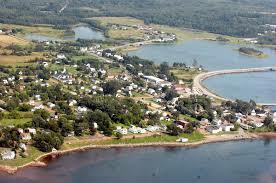 Residents and institutions in and around Pugwash currently rely on individual wells to supply drinking water. Many of these wells are contaminated with dangerous metals, including arsenic, lead and uranium, as well as elevated levels of chloride, making the water unsafe to drink. Once complete, this project will ensure the community has access to a clean and reliable supply of drinking water.